If you missed Thursday’s night’s broadcast of Soap Nation Live! with Michael Fairman‘s third annual Daytime Emmy Award Nominations special, you can listen to the replay of the episode right here! After the nominees were announced for the 43rd Annual Daytime Emmy Awards earlier in the day on The Talk, many of the nominees celebrated and participated in this two-hour lively and entertaining Daytime Emmy kick-off. Joining Michael in-studio were his very special co-hosts: Daytime Emmy winner and General Hospital favorite, Laura Wright (Carly Corinthos) and NATAS’ Senior VP Daytime Emmy Awards, David Michaels. During the broadcast Laura, David, and Michael discussed with several nominees their reactions to learning they are going for gold on May 1st, their Emmy submissions, learned some acting secrets, shared some laughs, and more. In addition, David filled listeners in on what happened behind the scenes that led to the decision that the Daytime Emmys will not be televised this year. Emmy-nominated call-in guests included: Outstanding Lead Actress nominees: GH’s Finola Hughes (Anna) and Maura West (Ava), and former DAYS star Kassie DePaiva (Eve), Outstanding Lead Actor nominee: GH’s Tyler Christopher (Nikolas), Outstanding Supporting Actor nominee: B&B’s Jacob Young (Rick), Outstanding Supporting Actress nominees: DAYS Melissa Reeves (Jennifer) and B&B’s Linsey Godfrey (Caroline), Outstanding Younger Actor nominees: GH’s Bryan Craig (Morgan) and Nicolas Bechtel (Spencer), Outstanding Younger Actress nominee: Brooklyn Rae Silzer (Emma), Outstanding Guest Performer nominees: Dee Wallace (Ex-Patricia) and Obba Babatunde’ (Julius). Now after the jump, listen to Soap Nation Live! with Michael Fairman Daytime Emmy Nominations Special 2016. Then let us know what was your favorite part of the show in the comment section below. Y&R's Kristoff St. John Talks His First Lead Actor Daytime Emmy Nomination! As key episodes of The Young and the Restless play out this week on the CBS Daytime drama series addressing the death of the character of Neil Winters and its affects on his loved ones; please join host Michael Fairman and his guests this evening (Thursday, April 25th) for a very special edition of Soap Nation Live! as we pay tribute to the late Kristoff St. John (Neil Winters). This special live-stream radio podcast can be heard exclusively here at Michael Fairman TV beginning at 7PMPST/10PMET. Sadly, back in February, St. John passed away at the age of 52, which devastated his castmates, the genre, and its fans, who knew Kristoff as one of the finest actors to ever appear on the soaps. 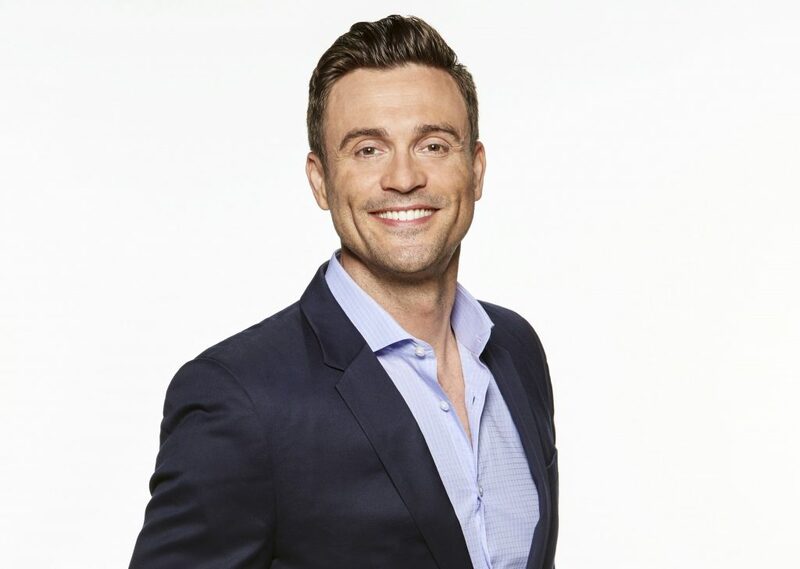 For this broadcast, Michael will be joined in-studio by his guest co-host, The Young and the Restless’, Daniel Goddard (Cane). Throughout the show, Daniel and Michael will be talking with several of Kristoff’s Y&R colleagues, past and present. Taking part in this tribute and celebration of St. John are special guests: The Young and the Restless‘ Eric Braeden (Victor), Eileen Davidson (Ashley), Victoria Rowell (Ex-Drucilla), Joshua Morrow (Nick), Mishael Morgan (Ex-Hilary), Christel Khalil (Lily) and Bryton James (Devon). Listeners can share their remembrances with us via social media during the show, and if they have a favorite moment of St. John’s, they can call the listener line at 818-295-2130 and we may bring you onto the show. Throughout the broadcast, make sure to check the Michael Fairman TV official Facebook page for video updates direct from the studio, and keep abreast of what’s happening and who is chatting with us live via @michaelfairman twitter account throughout the show. If you have a comment about this week’s episodes of Y&R, or your love for Kristoff St. John, and you would like to us to share it on-air with any of our hosts, or a guests, let us know in the comment section below. Next week on Thursday evening, April 25th, Soap Nation Live! 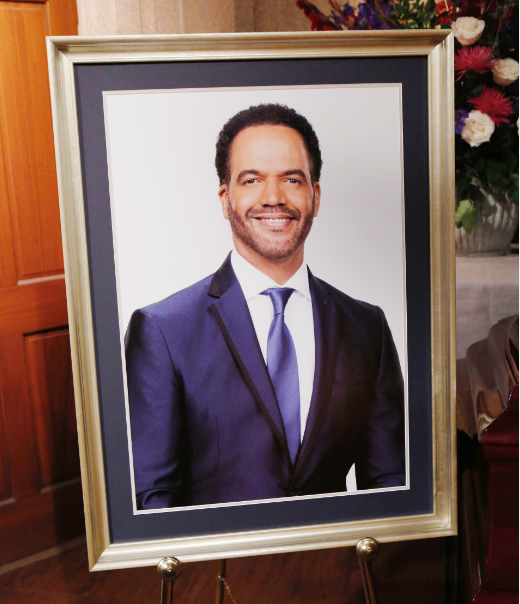 with Michael Fairman will be airing a very special live-stream broadcast honoring two-time Daytime Emmy winner, and beloved member of the cast of The Young and the Restless for over 28 years, Kristoff St. John (Neil Winters). Sadly back in February, Kristoff passed away at the age of 52, which devastated his loved ones, his cast mates, and the fans, who knew he was one of the finest actors ever to grace a daytime drama series. Taking part in this tribute and celebration of St. John are special guests: The Young and the Restless‘ Eric Braeden (Victor), Eileen Davidson (Ashley), Victoria Rowell (Ex-Drucilla), Joshua Morrow (Nick), Mishael Morgan (Ex-Hilary), Christel Khalil (Lily) and Bryton James (Devon). Tune-in to listen to the live-stream podcast beginning at 7PMPST/10PMEST right here at MichaelFairmanTV.com. We will also be releasing the call-in line number for listeners, if they would like to take a moment to share their favorite performance or remembrance of St. John’s. Throughout the broadcast, also make sure to check the Michael Fairman TV official Facebook page for video updates direct from the studio, and keep abreast of what’s happening and who is chatting with us live via @michaelfairman twitter account throughout the show. More show details will be forthcoming. If you have any questions you would like to pose to our hosts, or any of our guests, let us know in the comment section below and we just might ask it on the air. If you missed Wednesday night’s broadcast of Soap Nation Live! with Michael Fairman‘s sixth annual Daytime Emmy Award Nominations special, you can listen to the replay of the episode right here! 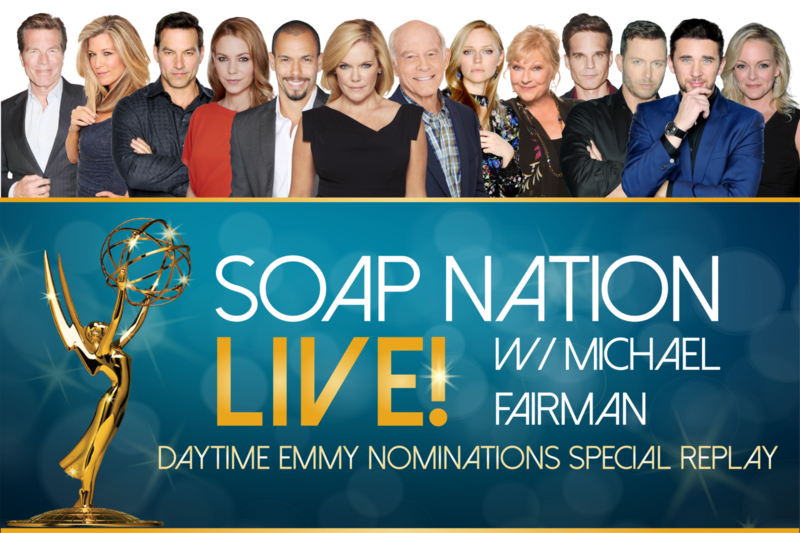 To kick-off the 46th Daytime Emmy Award season, Soap Nation Live! welcomed several of the just announced nominees (the nominations were revealed earlier in the day on CBS’ The Talk) in the major daytime drama performer categories to get their reactions, and thoughts on going for gold at the upcoming May 5th ceremony. In this two-hour plus lively and entertaining podcast that was originally live-streamed, you can hear the excitement and joy from the actors and their support of one another and their work in the daytime community as they celebrate their nomination. 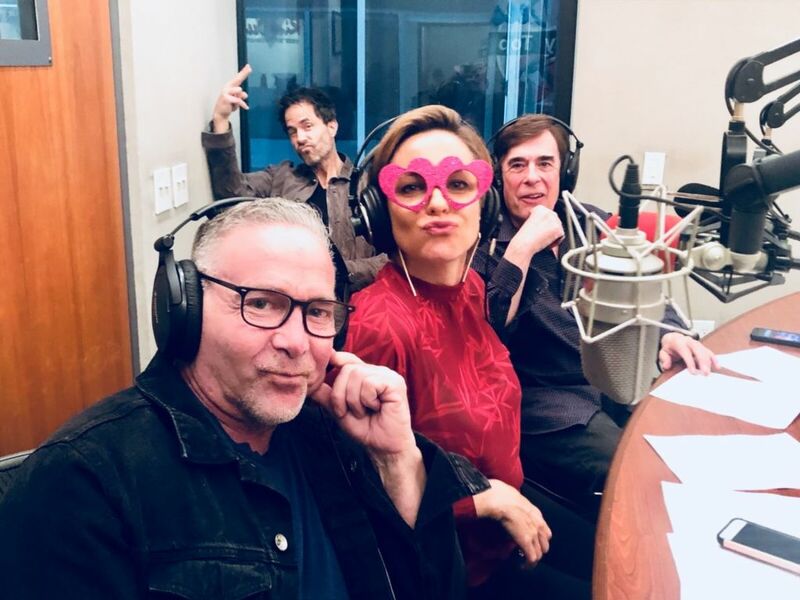 Joining Michael in-studio was his very special co-host, Days of our Lives, Arianne Zucker (Nicole), as well as NATAS’ SR VP Daytime Emmy Awards, David Michaels. In addition, former DAYS star, Shawn Christian (Ex-Daniel) was in-studio with the trio, and often popped on to the mic and bantered with some of his longtime pals who received Emmy accolades. 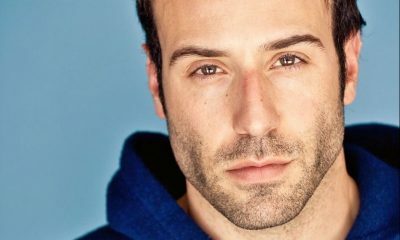 During the broadcast Michael, Arianne, and David chatted with many of our favorite soap stars who shared publicly for the first time what scenes they submitted that earned them a nomination from their peers, and more. Emmy-nominated guests included: Outstanding Lead Actress nominees: Maura West (Ava, GH), Laura Wright (Carly, GH) and Marci Miller (Ex-Abigail, DAYS), Outstanding Lead Actor nominees: Peter Bergman (Jack, Y&R). Billy Flynn (Ex-Chad, DAYS), and Tyler Christopher (Ex-Stefan, DAYS), Outstanding Supporting Actor nominees: Max Gail (Mike, GH), Eric Martsolf (Brady, DAYS), Greg Rikaart (Leo, DAYS), and Bryton James (Devon, Y&R), Outstanding Supporting Actress nominees: Beth Maitland (Traci, Y&R) and Martha Madison (Belle, DAYS), and Outstanding Younger Actress nominees: Chloe Lanier (Ex-Nelle, GH). During the live broadcast, listeners were able to ask questions of our guests, or co-hosts. At the end of the episode, one lucky caller won our “Game Show Daytime Emmy Trivia” and received 2 VIP tickers to the upcoming GH Fantasy Event, “Teals Got Talent” in Philadelphia on May 4th to benefit The Sandy Rollman Ovarian Cancer Foundation featuring GH stars: Michael Easton, John J. York, Lynn Herring, Kathleen Gati and former GH favorite, Rebecca Budig. In addition, the lucky caller won 2 tickets to the fan seats at the upcoming 46th annual Daytime Emmy ceremonies in Pasadena, California on May 5th. 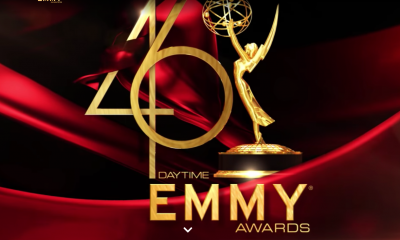 And … if you are interested in attending this year’s 46th annual Daytime Emmys in the fan seats, here is where you can also purchase your tickets. Now below, settle in and press play and listen to our replay of Soap Nation Live! with Michael Fairman’s Daytime Emmy Nominations Special 2019. Then let us know, what was your favorite part of the broadcast via the comment section below. Listen to “Soap Nation Live Daytime Emmy Nominations Special 2019” on Spreaker.